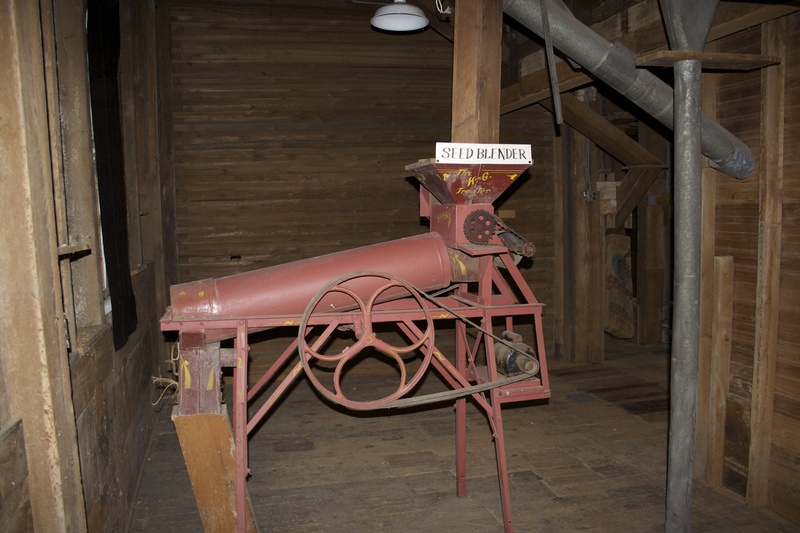 The seed blender was located on the second floor right above the first floor packing area. If you know what it was for, please let me know. 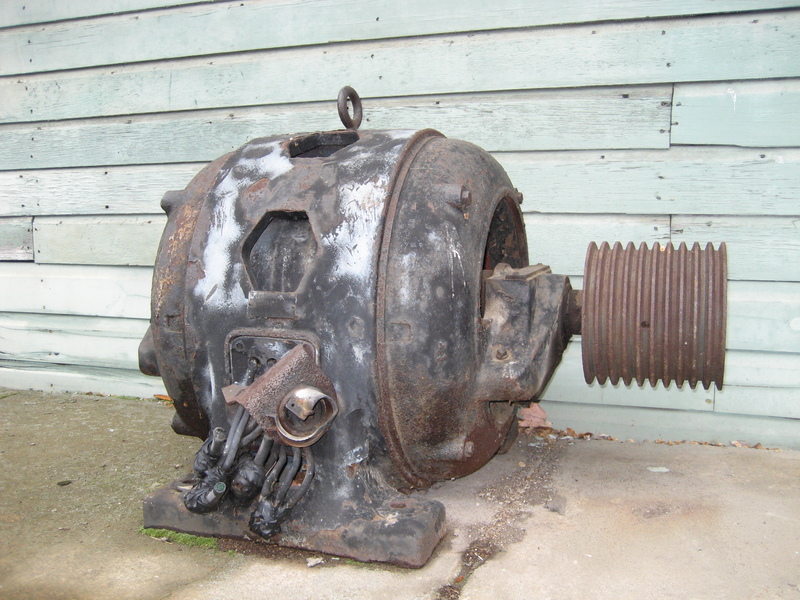 The large motor was originally located (2005) on the cement dock to the left of the second street door. When we built the boardwalk we moved it to the SE corner under the boardwalk where it still resides. 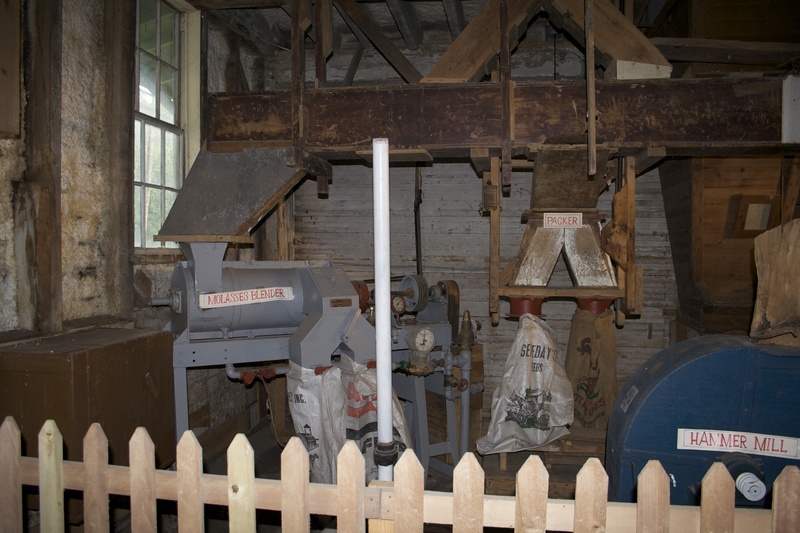 It is the largest motor in the Mill. What was it for?